Flooding, like that of Tanzania in 2011, seriously threatens food security. 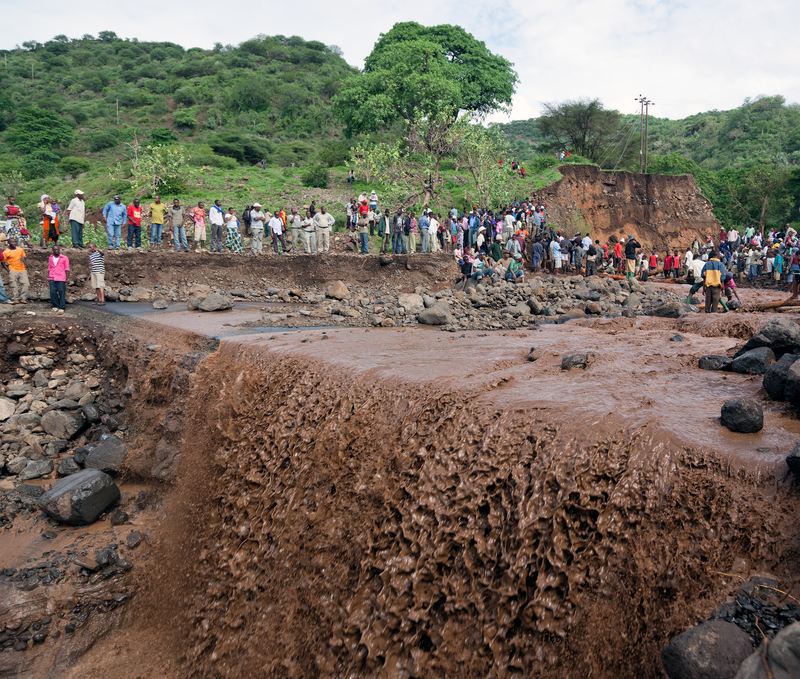 Strange events in extreme weather patterns due to climate change in Africa are proving that any stability in long-troubled countries may be threatened both by drought, flooding and rising sea levels. In Senegal, villages around the city of St. Louis have been abandoned as their homes, once a mile away from shore, morphed into swimming pools from the encroaching ocean. The former French colony capital has seen erosion of its beaches and an increase in flooding. Meanwhile, a thousand miles south in Ghana, farmers worry that both flood and drought will threaten food security. After flooding worried city managers in St. Louis in 2003, a channel was built to try and saw the waters outside of the city. However, the channel was not enough to stop the beach from eroding, and the village of Doun Baba Dieye has already disappeared. The rise in flooding also has created concern for the high percentages of impoverished homes that do not receive trash collection or are connected to a sewage system. Flood waters could create widespread contamination and disease if the raw sewage mixes into the city. Climate scientists have reported the rise in rainfall and the average temperature in the area have increased consistently over the last decade. The World Food Program recently reported that 16% of Ghana residents suffer from hunger, and cited climate change as part of the reason, although the main cause of hunger is poverty. However, if storms and drought periods increase, as studies are showing, the cost of food will spike and create even higher food insecurity. Food insecurity would likely cause unrest, massive immigration and death. Has Climate Change Influenced California’s Latest Trouble With Wildfires?